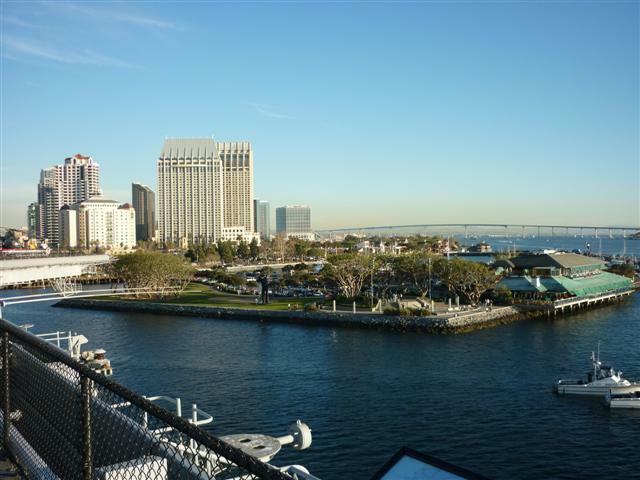 This picture of downtown San Diego is taken from the flight deck of the USS Midway, docked in the harbor. 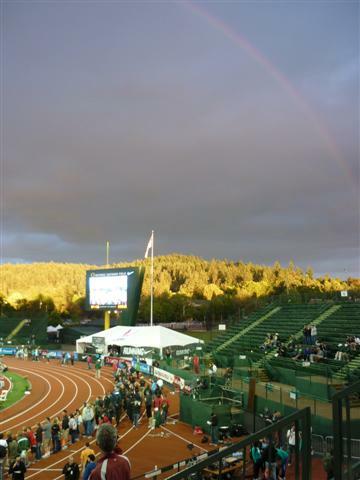 At the national Nike high school championships the evening before the Prefontaine Classic we saw this rainbow in the Oregon skyas the mile race was starting, with part of the crowd lining the track. 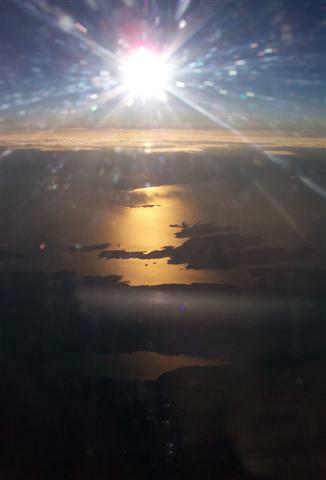 One of the advantages of teaching at a university is the flexibility allowed by the schedule and the support provided by the school for travel in order to research, speak, write, and learn. 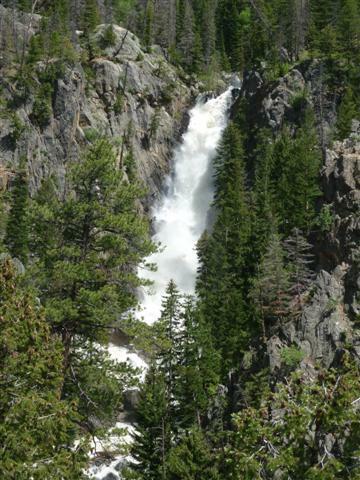 From the many places we have been in the last forty years, here are a few samples that include our favorite places. 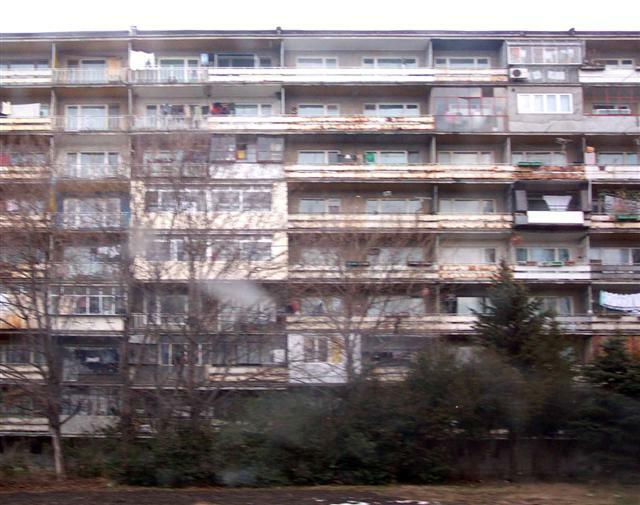 The Stalin period saw some shoddy architecture, such as these delapidated flats in Varna, Bulgaria. 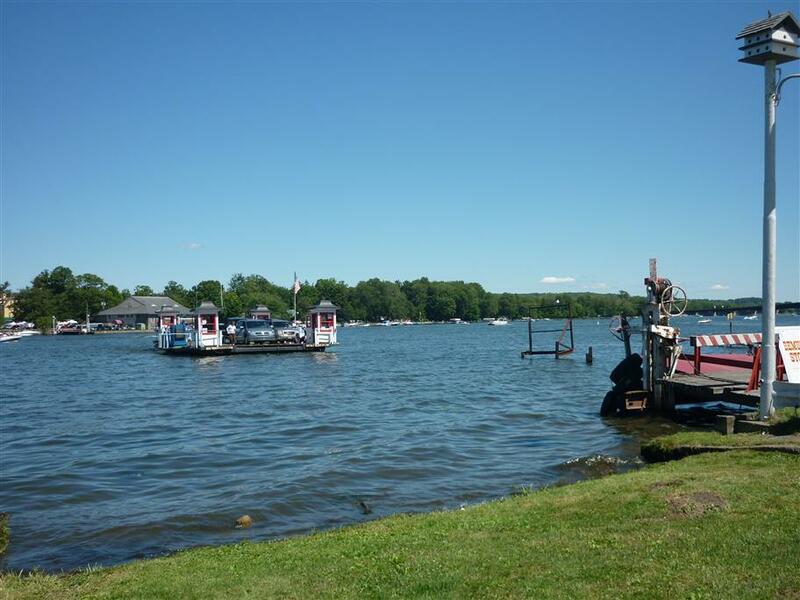 The Stow ferry provides a historic way to cross the narrowest part of Chautauqua Lake in New York. 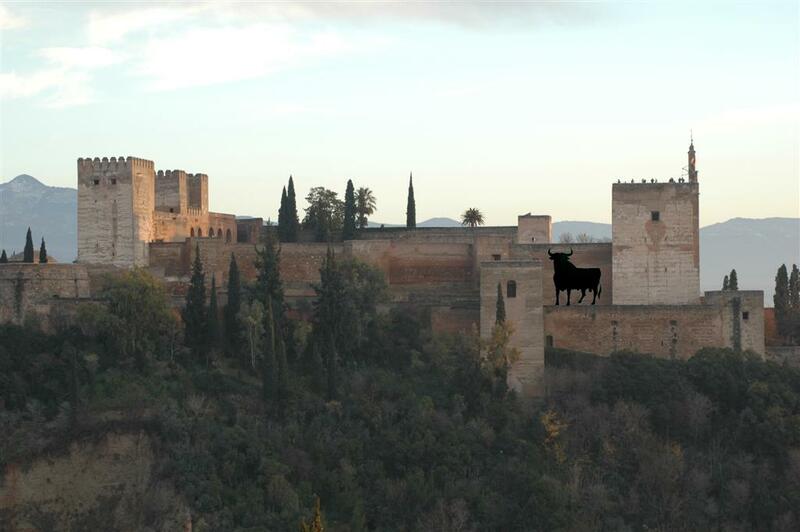 The Alhambra inGranada, Spain, is an impressive castle set on the hillside overlooking the city. 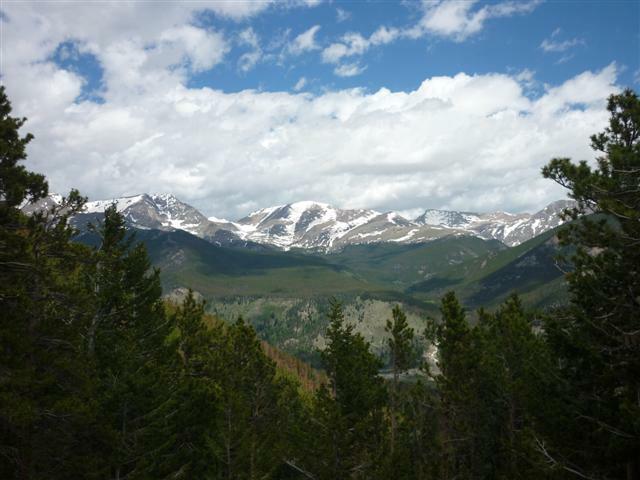 Rocky Mountain National Park, near Estes Park. The rebuilt cathedral of Christ the Savior in Moscow (1990s) is quite spectacular. The original took 40 years to build; this exact replica took 6 years. 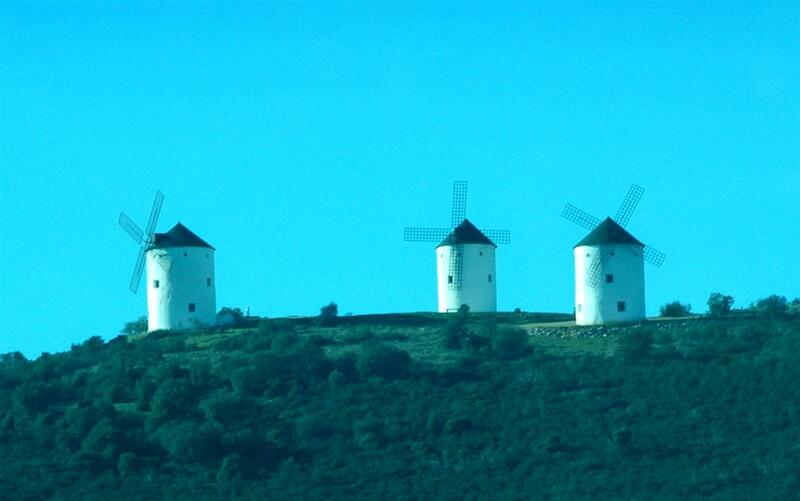 These old-style windmills dot the countryside in Spain, scatted among the more prevalent modern wind turbines. 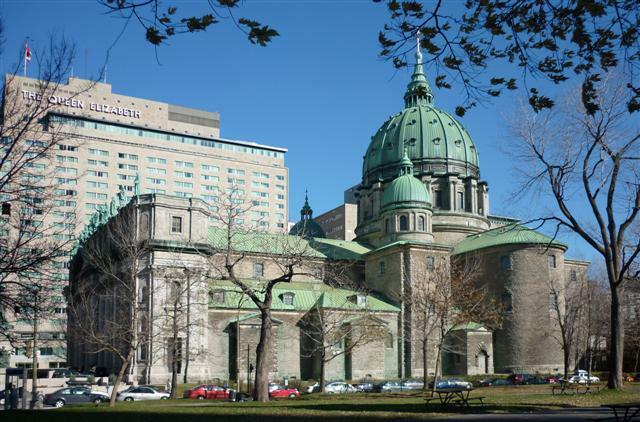 This huge Roman Catholic cathedral was next to my hotel in Montreal at the ASCH annual meeting. 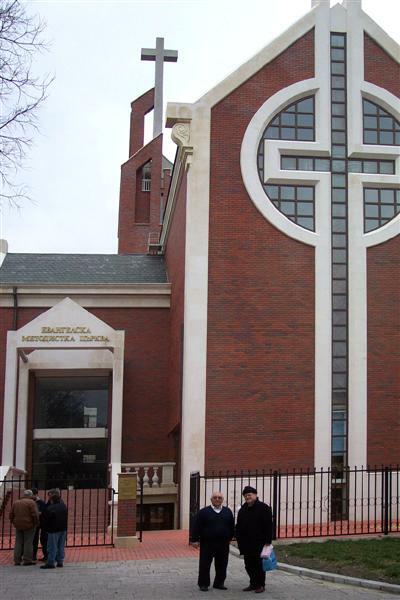 In stark contrast to the Stalin-era flats, the Methodist church in Varna, Bulgaria, is a bright new brick and stone building, containing a tracker organ, one of eight pipe organs in the country. 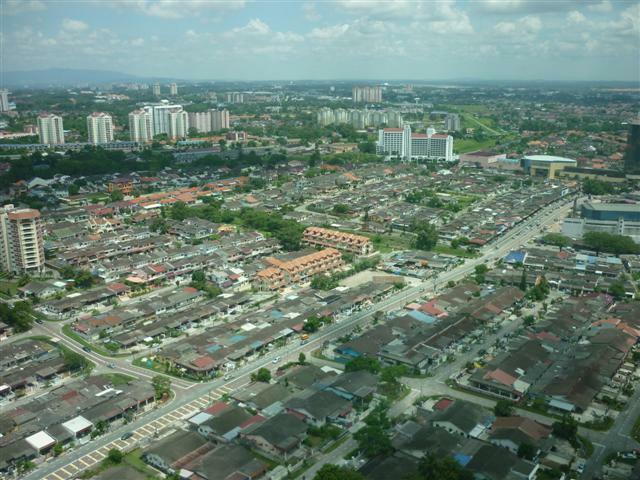 The housing patterns in Johor Baharu, Maylasia, are not what we are accustomed to in the west (or see in the books). 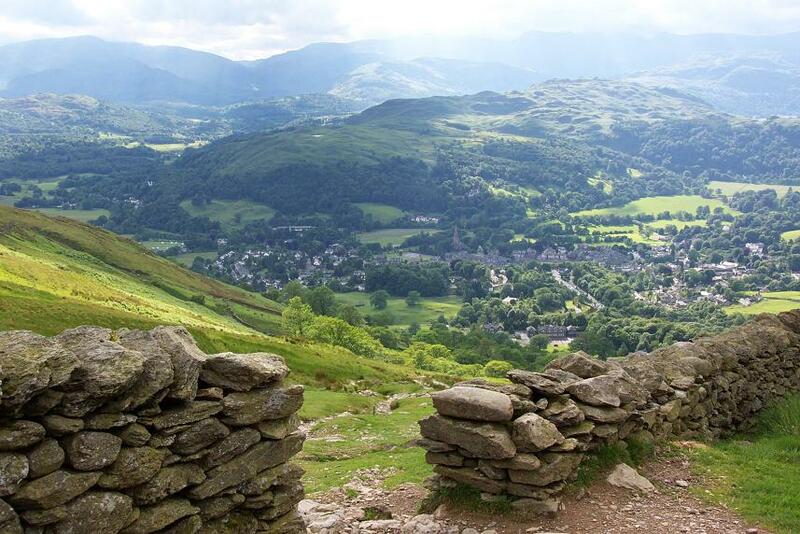 The Lake Dictrict in England, here near Amberside, has beautiful scenery, wonderful air, and great hiking. 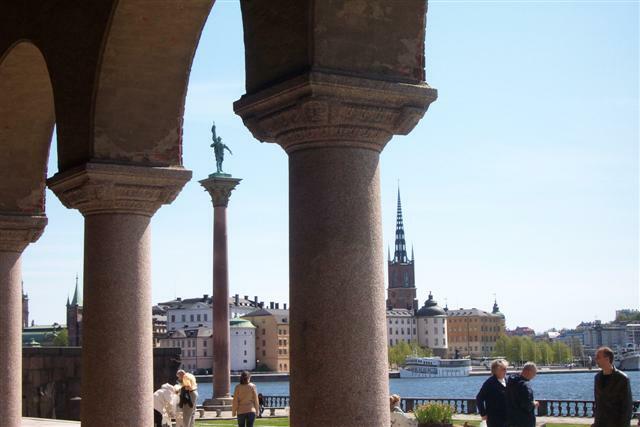 Stockholm, Sweden, is a wonderfully clean city with many historic buildings and lots of water. 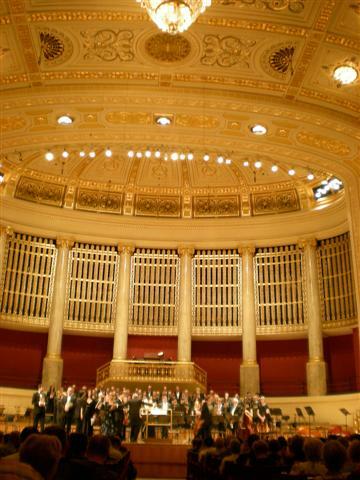 At the International Haydn Festival in Vienna, Austria, we sang in the Konzerthalle. 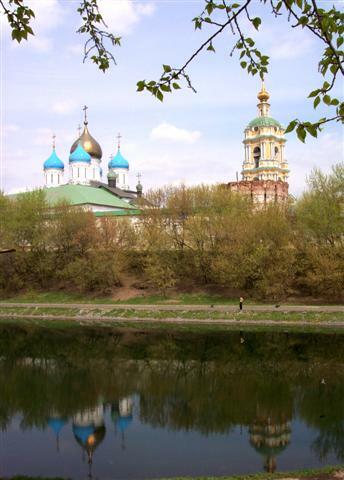 St. John's monastery in Moscow. 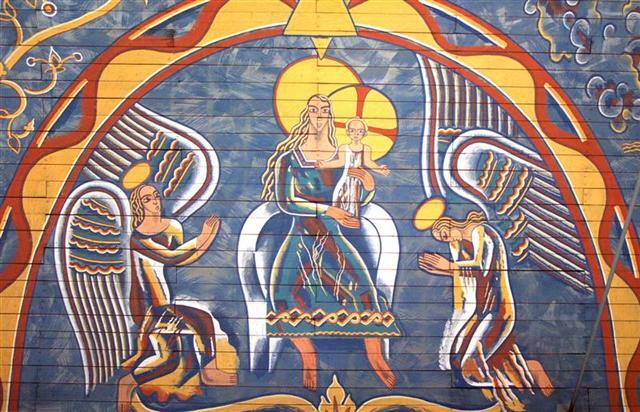 Sun setting over the lakes in Sweden, and a painted Swedish church ceiling. 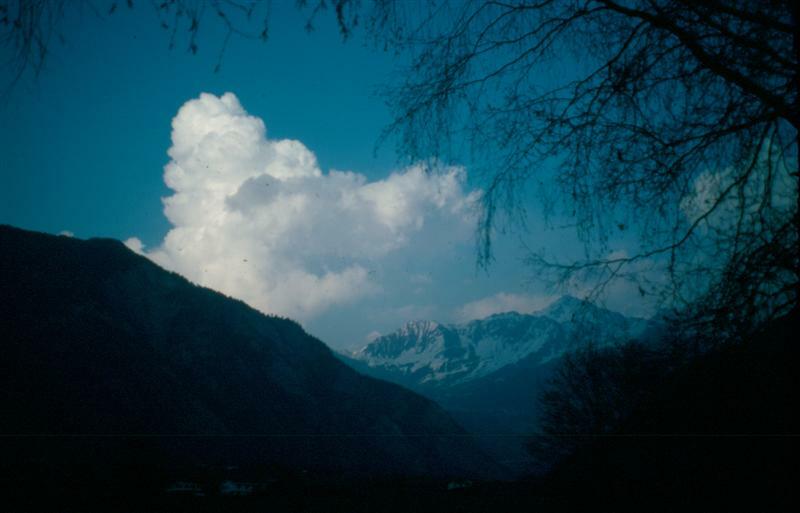 One of our favorite camping sites ever, near Martigny Switzerland, just after going over the St. Bernard Pass from Italy. 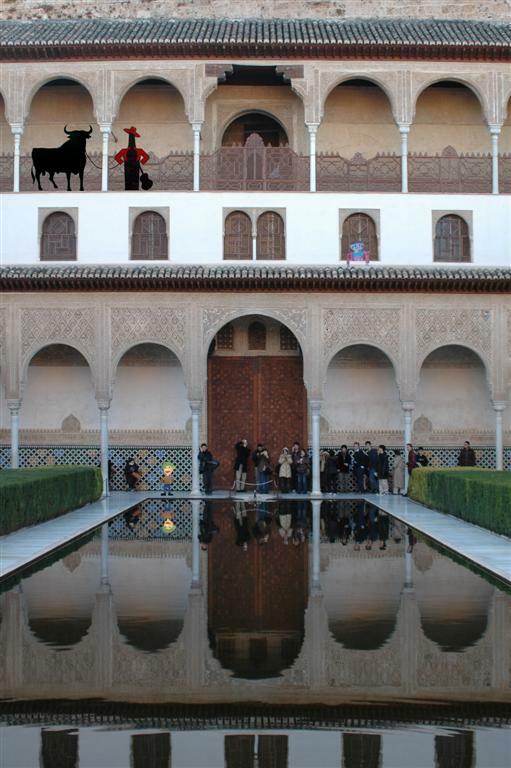 You just never know when Pedro, or Toro, or Flat Stanley, or all three might show up in your picture, such as here at the Alhambra. Pictures from China, Ireland, Chile, Italy, Japan, Germany, Brazil, Singapore, Scotland, Korea, France, Austria, etc., will occasionally be interspersed with others on this page.